An Alaska man who stole a fossilized woolly mammoth tusk and sliced it into pieces for resale will serve nearly three years in federal prison. 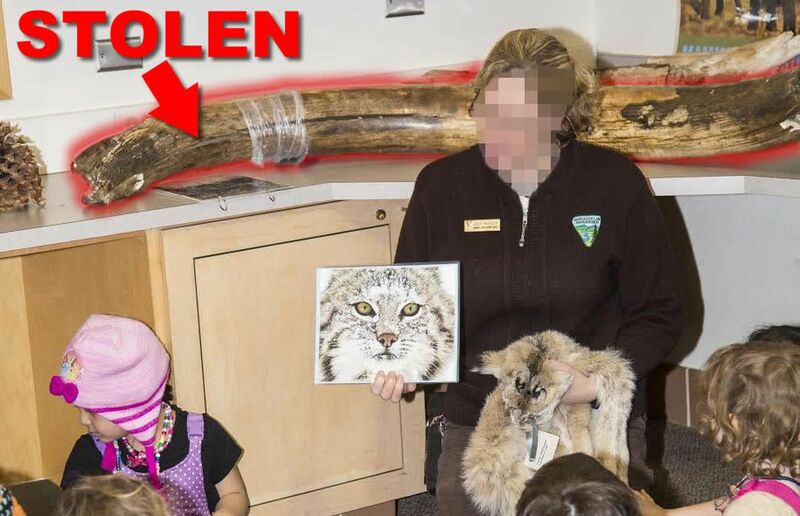 U.S. District Judge Sharon Gleason on Thursday sentenced Martin Elze, 52, to 33 months for the theft of the 5.5-foot tusk from the Bureau of Land Management’s Campbell Creek Science Center in Anchorage. Gleason also ordered Elze to pay $8,385.82 in restitution to the center. The Campbell Creek Science Center is a popular destination for Anchorage schoolchildren, and visitors could touch the tusk. The curved tusk was mottled dark- and light-brown, about 8 inches in diameter on the large end and 6 inches in diameter at the narrow end.